Ever felt like a completely different person for a week of every month, or even longer. As Women, we are taught from a very early age that ‘women’s problems’ are normal and there is not much you can do about it, this is simply not the case. The only symptom you should feel around your cycle is slight fatigue, everything else indicates that you have some level of hormonal imbalance. 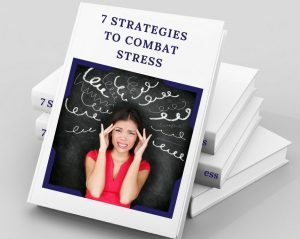 Stress, foods, pregnancy, menopause or synthetically made hormones such as the contraceptive pill or coil, all effect the bodies natural flow of the endocrine system, which can cause many different, life effecting symptoms, such as severe mood swings, painful cramps, headaches, flooding and digestive issues. After following this program patients generally feel a sense of normality, balance and well being. Retesting of Food intolerance test. I came to Lisa through a mutual friend of ours. I had been seeing a classically trained homeopath for 3 years and I had found that my treatment would not go any further, and wanted to be able to find someone who would take it a step further. I have endometriosis and other issues linked to this. Lisa immediately made me feel at home and relaxed in her presence. She has a really natural way about her which is really reassuring and I found that her support made me face many things which I hadn’t faced before. Not only that, but her amazing approach to homeopathy, incorporating other techniques such as emotional freedom technique was truly inspirational. Lisa has helped me deal with many issues, get over an operation and find my way in life again – all in such a short space of time!! !